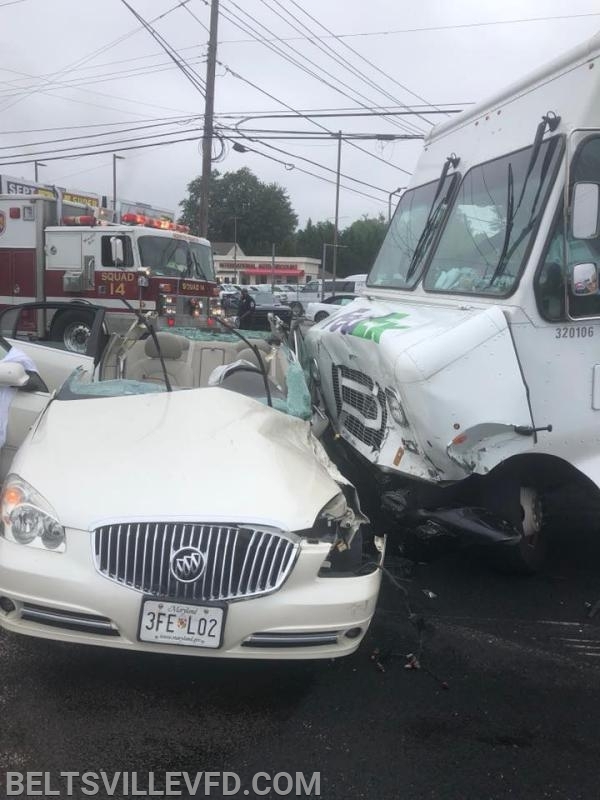 Units were dispatched to Baltimore Ave and Odell Rd for a reported auto accident. Units arrived to find one trapped in the vehicle. Patient was extricated by Rescue Squad 14 and transported to a local hospital. Photo courtesy of Berwyn Heights VFD.